OTTAWA - With voter turnout plunging to new lows, Liberal MPs are pondering the idea of legally requiring Canadians to cast ballots in federal elections. They're road testing the idea of mandatory voting in a survey emailed to party members, which seeks grassroots input into some of the "new ideas" explored by MPs during their summer caucus retreat last week. Whether mandatory voting is adopted as part of the eventual Liberal election platform remains to be seen. But deputy Liberal leader Ralph Goodale says it's an idea that deserves serious consideration, given the ailing health of Canada's democracy. "It's an interesting notion that I think bears some very careful reflection," Goodale said in an interview. He stressed that Liberal caucus is, for now, only testing grassroots reaction to the idea. But he also noted that Justin Trudeau has made democratic reform a central pillar of his leadership and that his agenda has been enthusiastically endorsed by party rank and file thus far. "Justin has indicated he's open to new ideas, open to new directions if that makes the country stronger," Goodale said. Turnout in federal elections has plunged from a high of almost 80 per cent of eligible voters in 1958 to a record low of 58.8 per cent in 2008, according to Elections Canada. It rebounded slightly in 2011 to 61.1 per cent. A byelection in June in the Alberta riding of Fort McMurray-Athabasca plumbed new depths: just over 15 per cent bothered to vote. By contrast, turnout in Australia, where voting has been mandatory since 1924, averages about 95 per cent. The Liberal caucus survey follows an analysis published last spring by one of Trudeau's senior policy advisers, University of Ottawa academic Robert Asselin, who advocated mandatory voting and the introduction of preferential ballots as ways to re-engage Canadians in the political process. The survey echoes Asselin's proposed details for mandatory voting, noting that disenchanted or disinterested voters would still be able to choose "none of the above" and those who failed to cast ballots would receive only a "small fine." "I think they're taking it seriously but it's something that would be a big shift in our political culture," Asselin said in an interview of the caucus' sudden interest in the idea. He acknowledged that mandatory voting is bound to be controversial and might even prompt a court challenge by electors who believe they have a fundamental right to refuse to cast ballots. Allowing voters to choose none of the above or to spoil or decline their ballots would preserve electors' right to refuse to vote, Asselin argued. A $20 fine — Australia imposes such a penalty on those who fail to cast ballots without good reasons — would be largely symbolic and rarely applied, he said. "I think most people would accept and think it's a good thing, as a civic duty, to be obliged to vote." Should Liberals officially adopt the idea, they would no doubt be denounced by the governing Conservatives, who abolished the mandatory long-form census on the grounds that Canadians should not be forced, under threat of jail time, to divulge private information to a government agency. However, Goodale said opposition to mandatory voting would fuel suspicions that the Tories are more interested in suppressing votes than they are in improving the health of Canada's democracy. He noted that two judges have concluded there was an orchestrated campaign to direct non-Conservative voters to the wrong polling stations during the last election, although only one junior Tory staffer has been found guilty of taking part in such a scheme in Guelph, Ont. 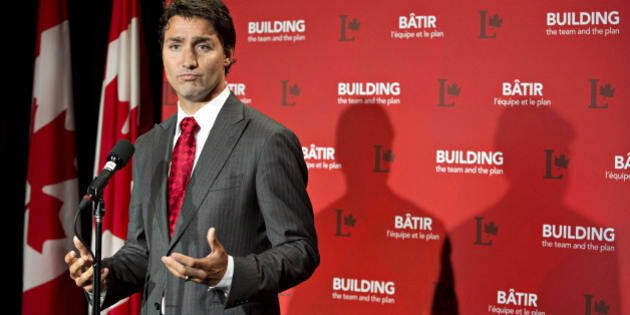 During last year's Liberal leadership race, Trudeau promoted Asselin's other proposal for preferential ballots, whereby a voter's second, third and subsequent choices are counted until one candidate receives more than 50 per cent of the vote. He was opposed to a more elaborate system of proportional representation (PR), aimed at ensuring a party's share of the popular vote is more accurately reflected in its share of seats in the House of Commons. Since then, however, Trudeau has indicated a newfound willingness to at least consider proportional representation. Rank and file Liberals overwhelmingly endorsed a priority caucus resolution at their convention last February, which committed a Liberal government to creating an all-party process to consult on electoral reforms, including preferential ballots and/or PR.